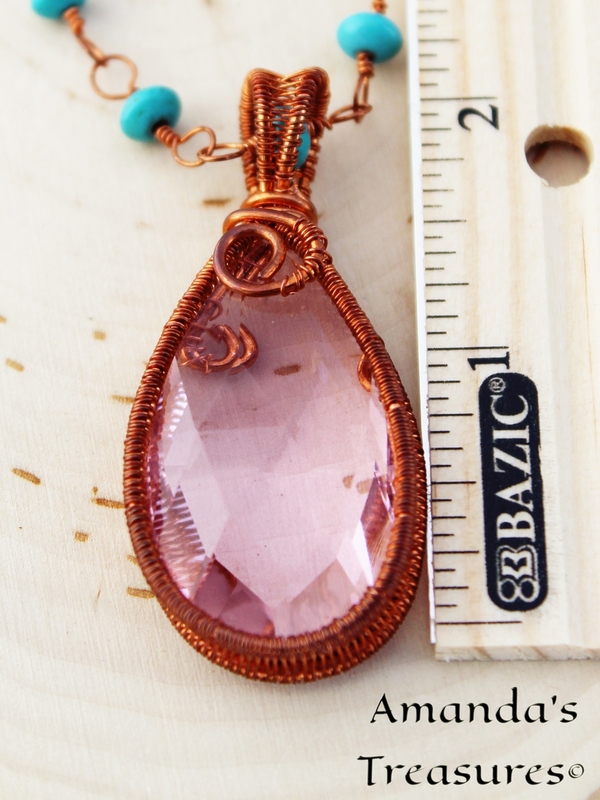 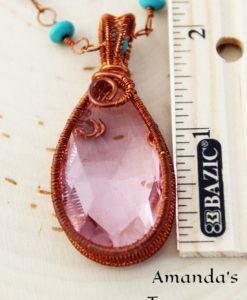 Made of faceted crystal, Pretty in Pink is in a shade of pink that is almost luminous. 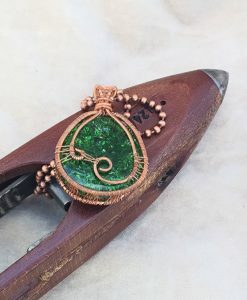 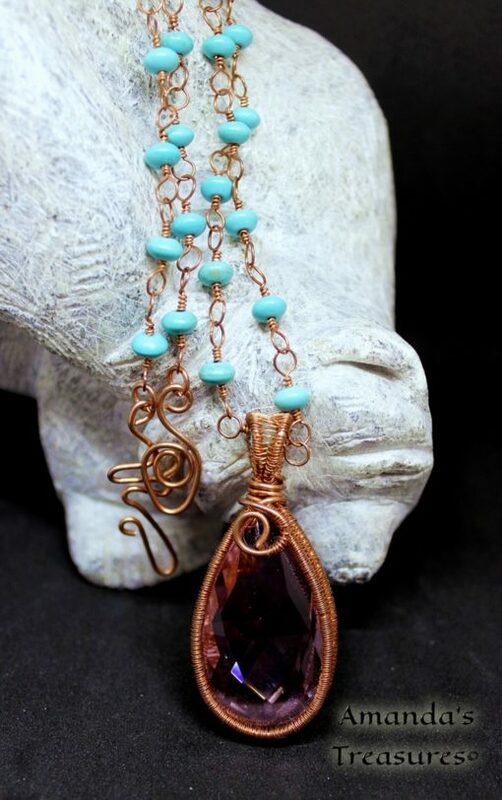 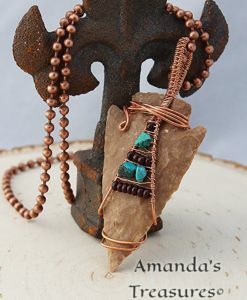 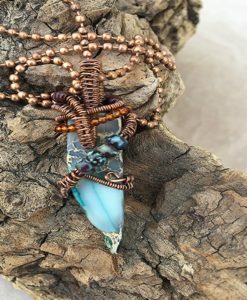 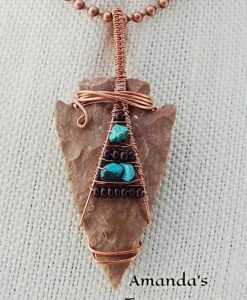 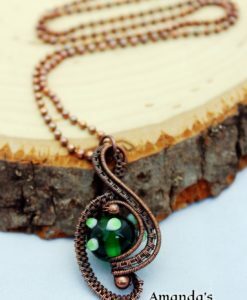 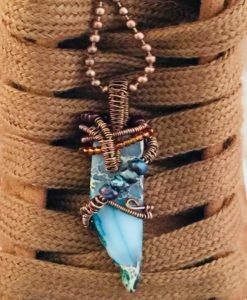 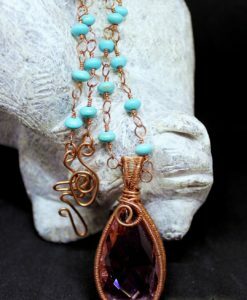 This necklace comes with a completely handmade chain that is made with gorgeous stone beads that are robin egg blue and a handmade clasp, wrapped entirely out of copper wire. 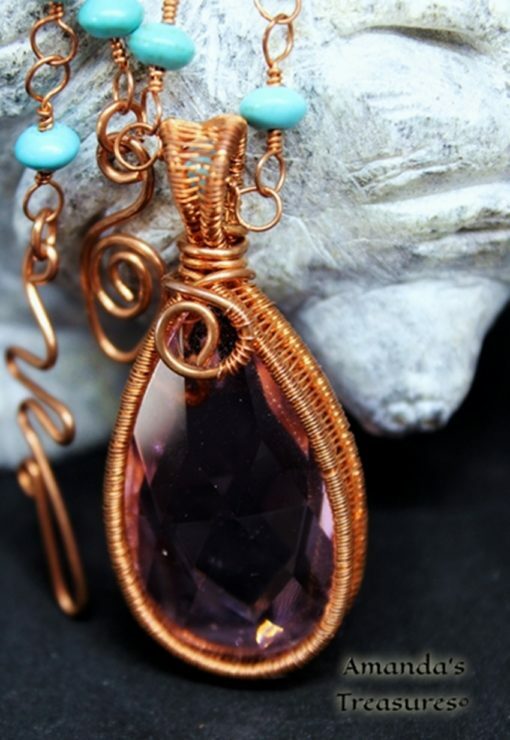 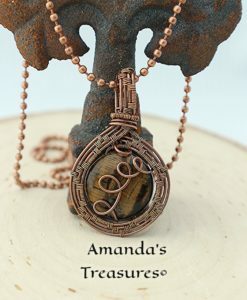 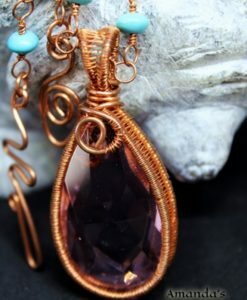 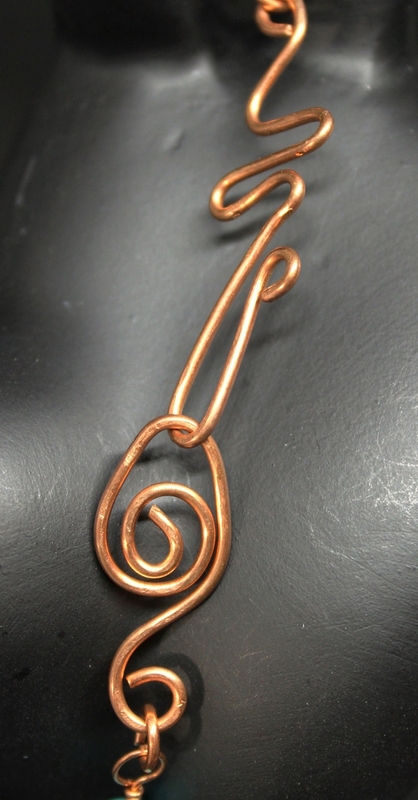 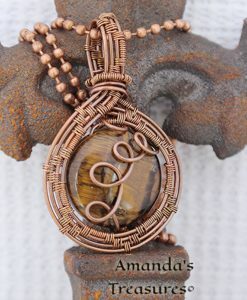 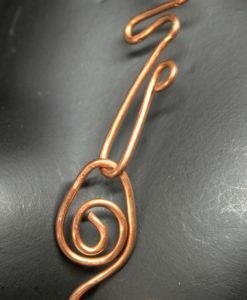 The warm tone of the copper wire, which will only become better with age, wraps up a stunning combination. 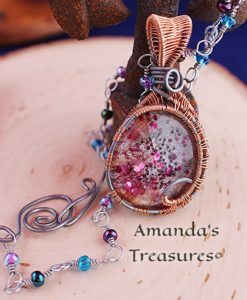 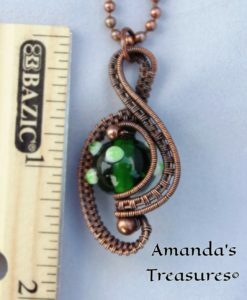 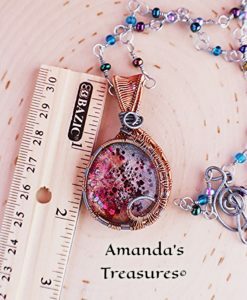 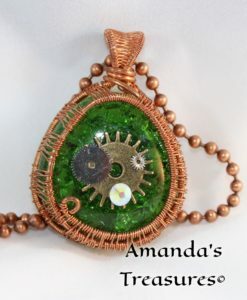 Pretty in Pink was entirely handmade with love and dedication by Amanda’s Treasures.